Enchanting historic neighborhood in the heart of South Charlotte. Myers Park is one of Charlotte’s most historic neighborhoods and is considered one of the city’s best areas to live. Myers Park is located in the heart of South Charlotte. Queens Road West runs through the community and is widely considered to be one of the most attractive boulevards in the entire United States. Myers Park’s winding residential streets are characterized by tall trees and resplendent historic properties exuding a distinctive sense of Southern charm. Myers Park is named for its 2,200-acre park, which was first developed from farmland in the early 1900s. Residents enjoy an abundance of green space and numerous pocket parks, with plenty of space to enjoy walking and bike riding. Freedom Park is one of Charlotte’s finest green spaces, hosting regular events throughout the year. Spanning 5.3 acres, Edgehill Park is considered the neighborhood’s centerpiece, providing residents with playgrounds, tennis courts, and outdoor fitness facilities. 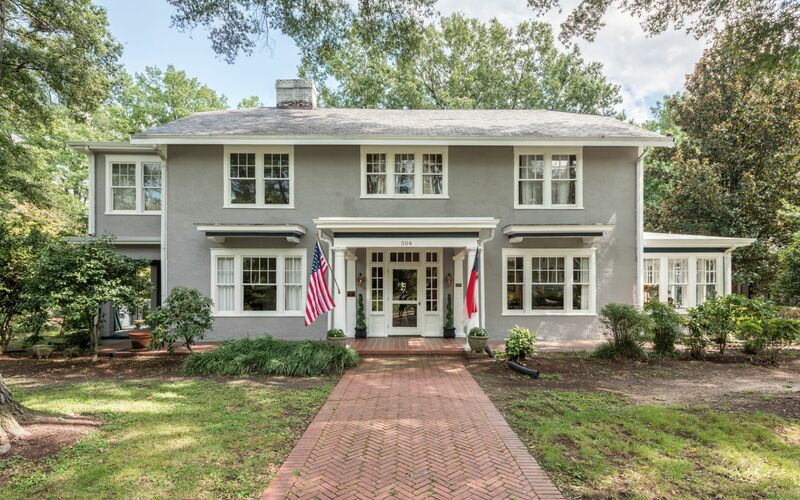 The Myers Park Historic District is comprised of 670 exquisite historic properties, with some outstanding examples of American Craftsman, Bungalow, Colonial Revival, and Tudor Revival homes. The Colonial Revival-style Duke Mansion is one of the district’s most distinctive properties. Myers Park is also a cultural hub, home to the Charlotte Nature and Mint Art Museums. There’s an art-house cinema screening independent films, along with the historic Regal Manor Twin Theater and Charlotte’s oldest community theater. Myers Park’s rich historic heritage is reflected in its real estate, with many homes dating back to its founding in the early 20th Century. Colonial Revival homes abound throughout the neighborhood, along with North Carolina’s largest collection of 1920’s Tudor Revival properties. There’s also a small selection of 1910’s American Craftsman Bungalow-style homes, as well as a smattering of modern townhomes and condominiums. This diverse architectural heritage means Myers Park properties range greatly in size, with the largest mansion extending beyond 8,000 square feet. As well as being a hub of culture and history, Myers Park is home to some of Charlotte’s finest restaurants. Stagioni is a particular highlight, putting a modern twist on delectable Italian cuisine. Stagioni means ‘“seasons” in Italian, and this exciting eatery prides itself on utilizing fresh locally-sourced ingredients to create dishes that evolve with the year. Stagioni’s setting is as magnificent as its menu, as the restaurant is one of Myers Park’s well-preserved historic properties. The Reynolds-Gourmajenko House was the entertaining abode of Blanche Reynolds-Gourmajenko, with its stunning Tuscan Revival design featuring large piazzas and a beautiful walled courtyard. In keeping with chef Andrew Hurst-Dodd’s culinary philosophy, Stagioni’s setting blends the modern with the classic, with its 90-seat modern dining area complimenting the gorgeous building it’s housed in. This exquisite Tuscan Villa is also home to RuRu’s, which serves a creative mix of Mexican fusion cuisine.